Bed bugs survive on human blood and can live up to a year. Thriving in any sort of environment, they target sleeping individuals making bites which swells and reddens followed by itchiness. 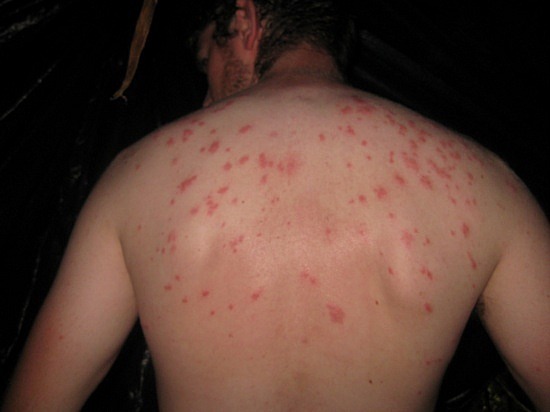 Bed bugs, generally, bite on the face, neck, arms or hands by piercing the skin and injecting their saliva which numbs the skin but leaves an itchy bump behind. • Disinfect the affected area by rubbing alcohol and Benzol Peroxide using a cotton ball. • Apply anti- itch cream, easily available at any local drug store or pharmacy, on the infected area. • Make a paste of water and uncooked oatmeal. Apply to the infected area and wash off when the oatmeal dries up. • Applying mud or white clay is the oldest remedy known for bed bug bites. • Pour a cup of boiling water over ¼ ounce of thyme leaves, cover for 10 minutes and strain. Dip a clean cloth into the thyme tea and wipe the affected area. • Chewing or crushing herb poultice such as, Chickweed, Comfrey, Wild Geranium, Wild mallow and Yellow Dock: and applying directly to the sores helps too. • Using starchy substances as grated potato, arrowroot powder, mallow roots ,water of cooked rice or oatmeal relieves pain and itchiness. • Add 3 tablespoons of baking soda to bath water. • Massage infected area with Aloe Vera juices. • Sprinkle some corn starch to reduce itching. • Wash bed linens in hot water, regularly. 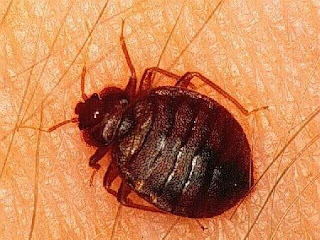 • Check bed for bed bugs from time to time. • Regular vacuuming of floor, mattress and bed crevices. • Cover the mattress with a plastic sheet.